Social sharing is an essential component of building the kind of traffic you need for your website or other platform that needs promoting. Without the needed traffic your platform would never blossom into its full potential and meet your goals. Social sharing is about making the user feel like they’re getting something out of what you’re offering – they look for valuable content that benefits them in one way or another and in return when they find what they’re looking for. Sharing benefits your platform because it increases your visibility within your desired community and helps you build your brand. Sometimes, one can get rather stuck when it comes to encouraging users to share content. 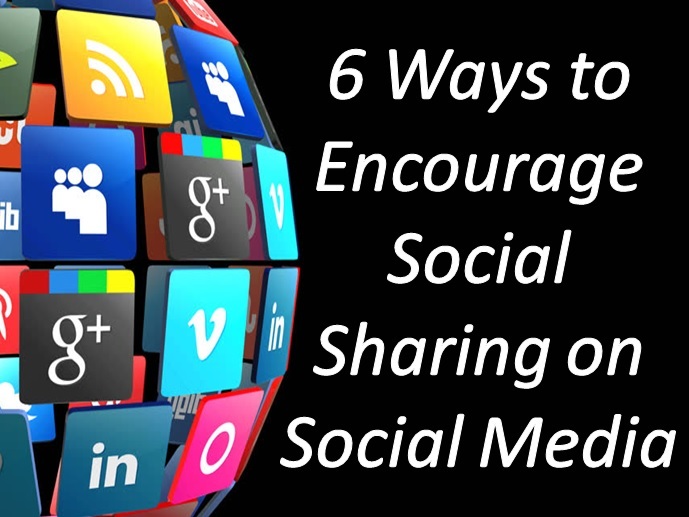 At times it can even seem rather impossible but there are a few ways you can encourage social sharing on social media no matter at which step of the process you’re currently at. Fast results are everyone’s dream and often instead of aiming at the right audience, people tend to aim at everyone they see in order to encourage sharing. That may work for a while but it will also die out quickly as the users who share will not have a genuine interest in the topic – it will not be truly organic. That is why, aiming at the right audience can be of utmost importance. Looking for people who have genuine interest in your content will bring long term results that could bring different positive results – even purchases. Defining the right audience might prove to be a challenging task. It can be defined by demographics such as age, nationality and income, as well as psychographics – behaviors, motivations and interests. There isn’t one simple, right way to identify the audience but the first step is by identifying some of those characteristics that are most important in relation to your content. If you are at the point when you have people who are already interested in what you are offering, then it is time to build up on that relationship by rewarding them for their loyalty. If you notice certain users who support what you are doing, then something even as simple as writing them a personal message and thanking them for their interest and engagement can bring you great benefits. While it may be critical to keep getting new people who want to share your content in order to reach a greater audience, it is crucial to always remember the ones who are already there and build up on the loyalty by listening to their input. If you post something that they don’t agree with, then perhaps listening to them can save you a lot of future troubles. While people who share content are often aware that it is what the poster wants – they are also aware that the content is being marketed to them. However, they still choose to share it when they find value. Remember that the headline matters – people often don’t read an article or a post if the first sentence doesn’t grab them so invest in the beginning. Sometimes when you’re not getting the desired results on social media, asking users what they want can work wonders. There are many ways to do that – ask them to write a comment or simply create a poll where you ask them what they want to see more of. Ask about their opinion of a certain post and don’t be afraid of criticism. The beauty of asking for input is that you also gain loyalty and create a better relationship with the users along the way. After all their opinion is what matters most – without their sharing there wouldn’t be any results at all. An important part about asking input is being thankful for it even if you don’t want to use it – so don’t forget to write a simple thank you when the users take time to answer your questions. Answering to every single comment and every single question is unrealistic when you have already build a relatively big audience. However, engaging from time to time is a great way to encourage sharing. If choosing which questions to answer and which not to seems difficult then an easy way to filter them out is by seeing which ones get asked most often. Those are the ones you should answer first – and if you have more time, try answering the rest. When users see your engagement they will most likely start feeling like they’re part of a community where their voice is heard and their questions are answered, and it will in turn increase their willingness to share your content as well as their trust towards your brand. While aiming at the audience where you’re located is a great way to start, once you’ve already established your brand it would be time to make your content available in other languages. To begin with, you need to figure out where to expand and which countries to target. Then you need to start translating your content and making it available for the people located there. Using websites such as Pick Writers, translation reviews website, can be the first step to expanding the reach of your content. Apart from that an important note to make is that you must always spell check everything you post in order to encourage social sharing. While encouraging social sharing on social media can be rather tricky, those 6 steps can help you take your content to the next level and they can help you create the wider audience that you need to improve your platform, whatever niche you’re operating within. Previous Previous post: How to Make a SMS Marketing Campaign Successful?